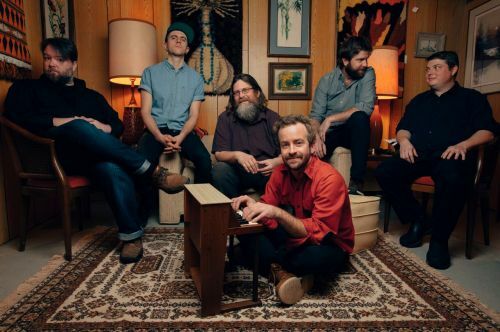 Last time we chatted with Trampled by Turtles frontman Dave Simonett, he was on a hiatus from the band and working on a different more personal project with Old Man Winter. Now, a year later, Trampled is back together and they’ve released their first studio album in four years. We had the opportunity to catch up with him and chat about the band reuniting and a fresh perspective on touring. High Plains Reader: So what got everybody back together? Dave Simonett: Oh I don’t know, it was kind of organic I guess. It just felt like time. For me I was starting to write and wanting to make a record. And was kind of trying to figure out what I wanted to do with it and the material I was working on felt like it would be a good fit with trampled and I kind of just talked to everybody and everybody felt like it was a good time to try anyway. We kind of went in thinking we would just give it a shot and if it didn’t work we wouldn’t bother with it yet. But it felt great. HPR: So what did you miss most about Trampled by Turtles? DS: There’s something about playing music: for me anyway, with people you’ve played with for so long, and have such an unspoken understanding musically and just as friends too. I’ve been playing with a lot of other people and that was great and I think it’s a really healthy thing for everybody to do to mix that up once and awhile. Because it’s really easy to take the good stuff for granted as well. You know. But then, getting back into the studio with these guys I just like...remember. I forgot how easy it can be to play music with people that you’ve just done it for so long with. That was probably the thing I missed the most. DS: We just know each other so well. So our traveling, all the other stuff besides playing, most of the time we spend together isn’t on stage, so having that group of people that you’ve already been through the nice to meet you phase and everybody knows everybody’s quirks. Having that kind of in place, life is just easier that way. HPR: Oh I bet. Last time we spoke you were touring with Old Man Winter and it was in promotion of your album “Furnace.” How do you feel like you’ve grown from that experience? DS: The whole thing was kind of an interesting experience because it was such a personal project t that by the end of the … I mean I had a blast going out and playing in places I haven’t played for a while and playing with musicians that are really good friends that I haven’t ever really toured with and all of that stuff was really fun, but by the end of that touring cycle I was so sick of the material. I was so tired of it. It all came from a really specific thing, which is not really typical of me for writing, and so I was past that thing you know? I was singing about it every night and I was like, “I just don’t want to talk about it anymore.” So I’m definitely planning on some day doing that kind of thing again but I think a real lesson I learned was to keep it a little bit closer to the vest I think so I don’t burn out so fast. Because I really don’t like going up on stage and talking about myself every night. HPR: I guess we kind of touched on that before but, do you think the time spent touring with Old Man Winter shifted your perspective and attitude on touring, and if so what were some of the biggest lessons you learned during that hiatus? DS: It didn’t give me a new perspective because it was kind of like going back to an old way of touring that I had already done with Trampled. Even now we’ve still spent most of our career in a van, driving around. And that’s what I did with Old Man Winter. So it was more like a refresher in a couple of ways. I really enjoy doing that, which I haven’t been able to do for a while. I really love driving around the country and staying overnight in the town in which we’d play. Which are things that Trampled never does. Our touring is just a different mode now, so it was really fun to do that and it also just really made me appreciate on the logistical side, on the touring side, what we have with Trampled as far as like a crew, and how well-oiled it is. Where it’s gotten to the point with that band where I have to be there for sound check and then for the show and that’s kind of all my responsibility for the day. Sometimes I forget how spoiled that can make me, you know? It was a good reminder. It was kind of like when we used to, in 2008, 2009, when Trampled was touring just a ton and I’d feel like I was getting sick of it, but my job at home when I was still working a day job was roofing, so I’d go back and roof for a couple weeks and it really made me pumped to get back in the van. You know what I mean? I think I was generally in need of perspective and that was good perspective. HPR: When you do have a rare day off, or if you have a couple days between your shows, what do you do on your off days? Do you have any favorite spots on the road? DS: Yeah. We don’t take that many days off because we only like to tour for short amounts of time at a time. So we maybe will have one day off in a two week tour, or maybe two days off. Sometimes those are filled with travel, and if they’re not then it’s usually pretty mellow. I mean it’s kind of everybody’s time to get their own space, get off the bus. There’s twelve of us on that bus so it’s pretty tight in there. A lot of times I won’t see anybody else on a day off, everybody just does their own thing, which is healthy. It’s in a really good way, you get twenty four hours to kind of reset, wash your clothes, and it depends on where you land. If it’s in a town I like or that I’ve enjoyed before maybe do something specific, but I try not to make plans on my day off I try to just give that day a day to breathe and just take it easy. Sleep. Friday, August 24, 5 p.m.